Do you have a rich mindset… or a poor one? I wasn’t born a natural entrepreneur. I had to be trained. A few years ago I read an amazing little book. You may have heard of it. 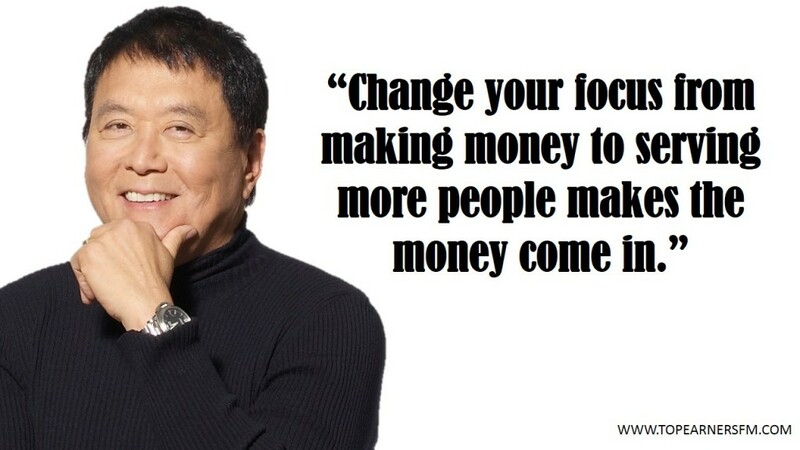 The book is called “Rich Dad, Poor Dad” by Robert Kiyosaki. Robert makes it very clear at the outset that he is not the best writer in the world. But there’s something very special about this little book… maybe it’s the lack of fluff that makes it easy to read. Maybe it’s the compelling story of the contrast between two foundational influences in his life, his two “dads”. His natural dad had what Robert describes as a “poor” mindset. He was an employee all his life, working for the school system, and valued the security that came from a regular paycheck. If he wanted more money, he had to go to his boss with his hat in his hand. His mentality about wealth was that there was a limited “pie”, and that all the good pieces were mostly taken. Later he met his “rich dad”, the father of his close friend, who showed him a different way to see the world. Rich Dad talked about having your own business that you control… if you wanted a raise in pay, then you simply went and found another way to make more money for yourself. He talked about taking initiative instead of waiting for permission. He talked about the long term benefits of starting a business instead of the short term “security” of having a job. This way of seeing, while attractive to Robert, was tough to understand… because he was raised with a certain type of limited thinking. But as he tried different things and failed, and then tried again, he found success came with persistence and tenacity. But if it were not for the influence of his “rich dad”, who helped his thinking and his mindset, he would not have the success he enjoys today. I credit this book with helping me shift my mindset from that of an “employee” to one of an “entrepreneur”. It’s a shift that’s still happening, and I have to practice these new ways of thinking daily. While the rich mindset is what I want to have because I firmly believe that it’s the path to prosperity and fulfillment, in truth it’s very easy to backslide into having a poor mindset. The poor mindset puts us in defensive mode. We circle the wagons and spending (even spending on things that make money) slows to a crawl. We see the world as a very limited (and very limiting) place. Instead of playing to win, we play not to lose… and in doing so, we lose. The rich mindset, however, is like being on offense. I like to call this the abundance mindset, because it’s characterized by looking at the world as a place full of possibilities, not limitations. With this mindset we spend money, but we think about how we can spend money on things that earn more money. Possibilities open up to us. People open up to us. It’s just more fun. So if you’re a creative person, but not enjoying your job that you thought would be a blast each and every day, maybe this is why. The shiny newness of your job has worn off and now you’re looking for some compensation as well as motivation. If you’re wondering where your mindset is at, here’s a contrast of the two different types of artists. Read each one and see which you most identify with. Do you see the tangible difference between the two very divergent mindsets represented above? So I ask you: which mindset are you living with? It really is an either/or situation. You can’t really have a mix of mindsets. Like a car on a two-lane road, you are pointing in one direction or the other… regardless of where you are currently. While you may be living with a dead-end job at the moment, or even without a full time job and scrimping and saving just to get by, that doesn’t necessarily mean it has to stay that way. The great news is, you can start working on your mindset today. You can make the decision to turn your thinking around immediately. 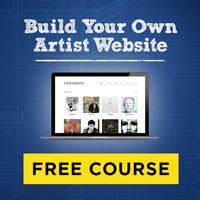 Maybe you are out there on your own as a freelancer or independent artist, but you’re struggling to get by. Maybe it’s time to lay it all on the table: are your mindsets holding you back? Do you have a poor frame of mind that prevents you from success? 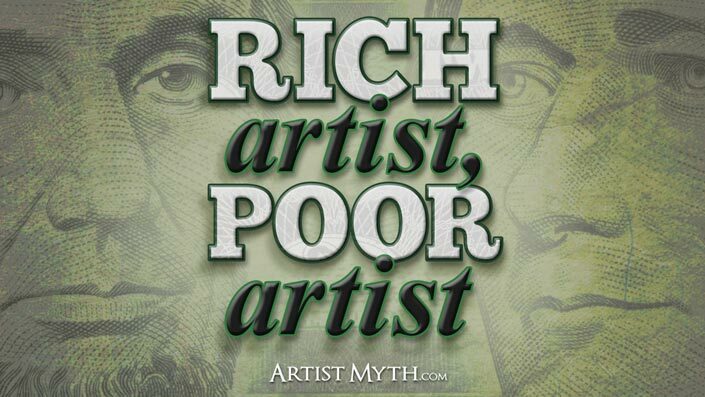 Are you thinking like a poor artist, or a rich artist? Let’s talk about it in the comments below.